In July 1959, at a summer holiday camp, Clive was spotted by Rory Blackwell, the resident rock and roll bandleader. Blackwell offered the young singer/pianist a full time job and the teenager happily left his job at the weaving mill. Rory and the Blackjacks departed for London, their hometown, when the summer season ended prematurely and Clive went with them. The promise of lucrative work in the music business didn’t materialize, however, and the band broke up. The determined young man from Leigh opted to stay on in London, but for a time it proved rough going. He tried unsuccessfully to make his way back home, and eventually he had the good fortune of finding “lodging” at The Essex Arms pub in London’s Dockland, where the kindly landlord provided him a room where he could sleep. In October of that year, the Marty Wilde Show was performing at the Lewisham Gaumont and Rory Blackwell arranged for Clive to audition “live” for impresario Larry Parnes. After walking on stage, without any rehearsal, he sang Jerry Lee Lewis’ High School Confidential and was promptly hired as a backing pianist for the Parnes “stable” of singers. 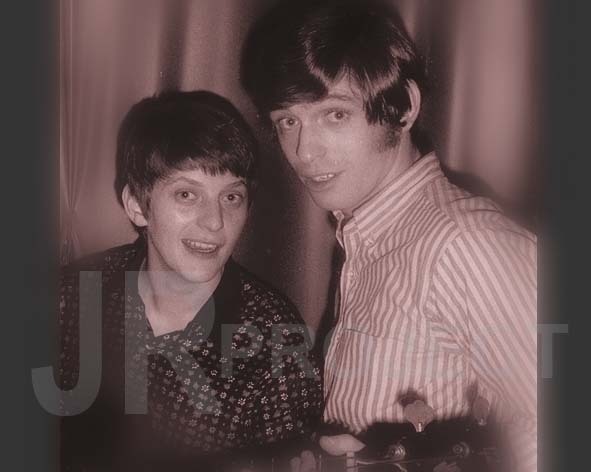 As with all the other young talent Parnes had taken on (such as Billy Fury and Johnny Gentle), he renamed Clive Powell “Georgie Fame,” and the name has stuck to this day. By the age of 16, Georgie had toured Britain extensively, playing alongside Marty Wilde, Billy Fury, Eddie Cochran, Gene Vincent, Tony Sheridan, Freddie Canon, Jerry Keller, Dickie Pride, Joe Brown and many more. During this time, Billy Fury selected four musicians, including Fame, for his personal backing group and the “Blue Flames” were born. At the end of 1961, after a disagreement, the band and Fury parted company. Another gloomy out-of-work period finally ended in March 1962, when Georgie Fame and the Blue Flames took up what was to be a three-year residency as the house band at the Flamingo Club in London’s Soho district. 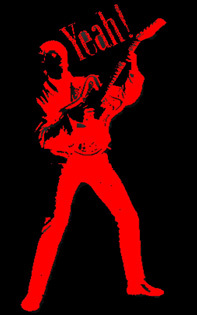 According to Georgie, they played “rhythm and blues all-nighters to black American GIs, West Indians, pimps, prostitutes and gangsters.” The band’s reputation as “the epitome of cool” spread rapidly, and in 1963 their first album, Rhythm and Blues at the Flamingo, was recorded live at the club. A string of hit records in the following years included the No. 1 best sellers, Yeh Yeh (the first recording that knocked The Beatles off the number one spot in the charts), Getaway and 1967’s The Ballad of Bonnie and Clyde. Due to his great popularity, Georgie Fame and the Blue Flames were the only UK act invited to perform with the first Motown Review when it hit London in the mid-1960s. During this time, Georgie also pursued his interest in jazz, recording the milestone album, Sound Venture, with the Harry South Big Band. This led directly to successful tours of the UK and Europe in 1967 and 1968, which found Georgie singing with the Count Basie Orchestra. 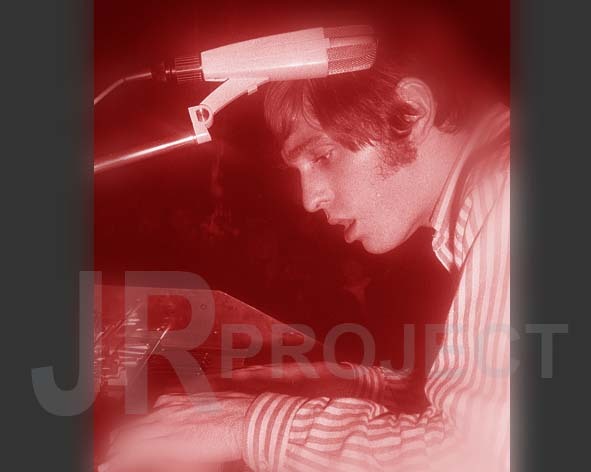 From 1970 to 1973, Georgie Fame worked almost exclusively in a partnership with fellow musician Alan Price (former keyboard player for The Animals). The duo were featured in their own television series “The Price of Fame,” guested on countless others, and produced the hit single Rosetta. Their partnership came to a close several years later, but the television exposure had made Georgie Fame a household name in Britain. In 1974, Georgie reformed the Blue Flames and they continue working with him (in one form or another) to this day. At that time, Georgie also began to regularly step away from the keyboards to sing with Europe’s finest orchestras and big bands, a musical tradition he still currently pursues. During the seventies, he also wrote “jingles” for several UK radio and TV commercials and composed the music for the feature films Entertaining Mr. Sloane and The Garnett Saga. In 1981, Georgie co-produced and performed with jazz vocalist, Annie Ross, on the album In Hoagland, which featured the music of the legendary Hoagy Carmichael. After Georgie met with Hoagy at his home in Palm Springs, California, a film based on the album was made by Scottish television. It went on to win a gold award at The New York Television Festival. A similar tribute to Benny Goodman, In Goodmanland, recorded in Sweden with vocalist Sylvia Vrethammar, followed in 1983. In 1988, during one of his regular visits to Australia, Georgie produced the album, No Worries, with the Aussie Blue Flames. And in 1989, the album, A Portrait of Chet, dedicated to jazz trumpeter Chet Baker, was recorded in Holland. Another project, completed in the eighties, was a musical written with fellow composer, Steve Gray. This outstanding piece of music remains unperformed in public with the exception of a prototype version that was broadcast on Dutch radio with the Metropole Orchestra, featuring Madeline Bell. It was also in 1989 that Georgie Fame joined forces with Van Morrison, after having been invited to play Hammond organ on Van’s Avalon Sunset album the previous year. He continued to record and tour with Morrison throughout the nineties. During that time, he and Van co-produced and performed on the Verve albums, How Long Has This Been Going On, released in 1995 and Tell Me Something: The Songs of Mose Allison, released in 1996. In 1990, Georgie Fame signed with producer Ben Sidran’s Go Jazz Records and his first album, Cool Cat Blues, was released on that label in 1991. Recorded in New York City, it featured such musical luminaries as Van Morrison, Jon Hendricks, Boz Scaggs, Will Lee, Robben Ford, Richard Tee and Bob Malach. The follow-up album, The Blues and Me, completed in 1991 and released in 1992, was recorded in similar musical company. It also featured special guests Dr. John, Phil Woods, Stanley Turrentine and Grady Tate. In 1992, the album, Endangered Species, was recorded with the Danish Radio Big Band in Copenhagen and in 1993, the album, City Life, featuring Fame, Madeline Bell and the BBC Big Band was released. A unique album by Three Line Whip (featuring Georgie’s sons, Tristan and James), Three Line Whip/Will Carling, was released in the UK in May 1994, with close family friends and musical associates of many years standing joining the trio in the studio. They included Guy Barker, trumpet; Peter King, alto sax; Alan Skidmore, tenor sax; Steve Gregory, tenor sax/flute; Anthony Kerr, vibraphone; Brian Odgers, bass guitar and Steve Gray, digital piano. Another Three Line Whip album, Name Droppin', was released in 1997, after being recorded live in true Blue Flames style at Ronnie Scott’s Jazz Club in London during one of their annual residencies. A second album, Walking Wounded, from the same sessions, was released the following year. Also in 1997, bassist Bill Wyman began forming his new band The Rhythm Kings and Georgie Fame became a founding member. Since that time, there have been five CDs and several tours, and The Rhythm Kings "reform" periodically to tour and record to the present day. During 1999, Fame presented several radio programs on BBC Radio, including his own six-week series featuring The Blue Flames plus special guests, including Madeline Bell, Bill Wyman, Zoot Money, Peter King, Steve Gray and Claire Martin. In the year 2000, Georgie’s critically-acclaimed CD, Poet in New York, was voted Best Jazz Vocal Album by the Academie du Jazz in France. In 2001, the latest Three Line Whip CD, Relationships, was released, which included some of Georgie Fame’s finest songwriting to date. In the same year, a compilation CD, Funny How Time Slips Away: The Pye Anthology, was released. Throughout his 40-year career, Georgie Fame has recorded over 20 albums and 14 hit singles. He is equally at home in the company of jazz groups and big bands, orchestras, rock groups and his own band, The Blue Flames. As a sideman, he has recorded with many artists, including Gene Vincent, Prince Buster, Muddy Waters, Eric Clapton, Joan Armatrading, Andy Fairweather-Low, Bill Wyman and Van Morrison. Ever on the road, Georgie Fame continues to perform his unique blend of jazz/rhythm and blues for live audiences at clubs and music festivals throughout Europe. Amongst his musical influences and heroes, he names Fats Domino, Ray Charles, Mose Allison, Duke Ellington, Count Basie, Thelonius Monk, Betty Carter, Peggy Lee, Jimmy Smith, Booker T, Chet Baker, Johnny Griffin, Jon Hendricks, Eddie Jefferson, King Pleasure, Lambert, Hendricks and Ross, Sonny Rollins, Richard “Groove” Holmes and many, many more. The Blue Flames were one of the most popular R&B bands on the London club circuit in '63/'64. Originally, the Blue Flames were Billy Fury's backing band and Fame joined them in the summer of 1961. At the end of that year Fury sacked them and they decided to see if they could "make it" on their own. It didn't take them long to establish a reputation as one of the best live bands around. Of all the groups playing the London clubs at this time, Fame and his band were the most jazz-influenced. The groups' first three singles made no impact on the charts but in late '64 "Yeh Yeh" went to the very top. The first album was recorded live in their beloved Flamingo Club. But after two more successful albums and another No. 1 single, Fame disbanded the group in September 1966. 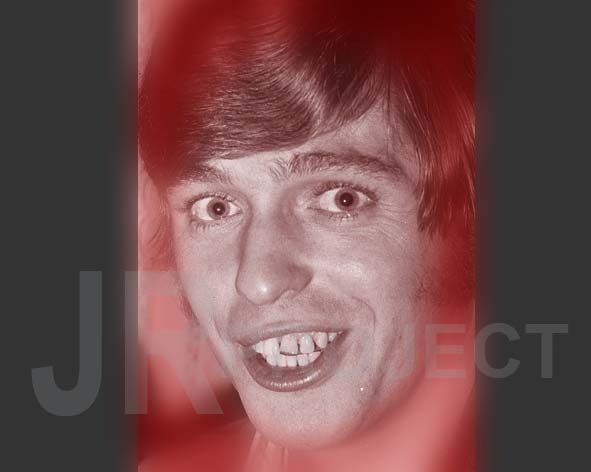 Georgie Fame (* 26. Juni 1943 in Leigh, Lancashire, England), eigentlich Clive Powell, ist ein britischer R&B-Musiker. Bereits mit 16 Jahren wurde Clive Powell von Manager Larry Parnes unter Vertrag genommen, der bekannt dafür war, dass er Musikern neue Namen wie Marty Wilde und Billy Fury gab. So wurde aus Clive Powell Georgie Fame. 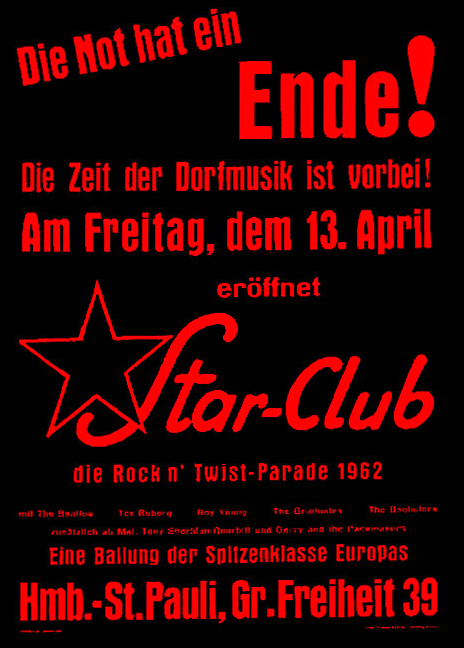 Ab 1960 spielte Fame Keyboard in der Band von Billy Fury, den Blue Flames, die er bald darauf übernahm und mit denen er 1964 mit "Yeh Yeh" und 1966 mit einer Coverversion des Bobby Hebb-Songs "Sunny" die Spitze der englischen Hitparade besetzte. Nach Auflösung der Blue Flames 1966 begann Fame eine Solokarriere und spielte mit Mitch Mitchell und John McLaughlin. Sein größter Solohit war The Ballad of Bonnie & Clyde, 1968 Nummer 1 in England. Außerdem wirkte er in einem Gesangstrio von Jon Hendricks und Annie Ross mit. 1971 bis 1973 bildete Fame mit Alan Price das Duo Fame & Price. Sie hatten einen Hit mit Rosetta. 1974 gab es ein kurzes, wenig erfolgreiches Revival der Blue Flames. 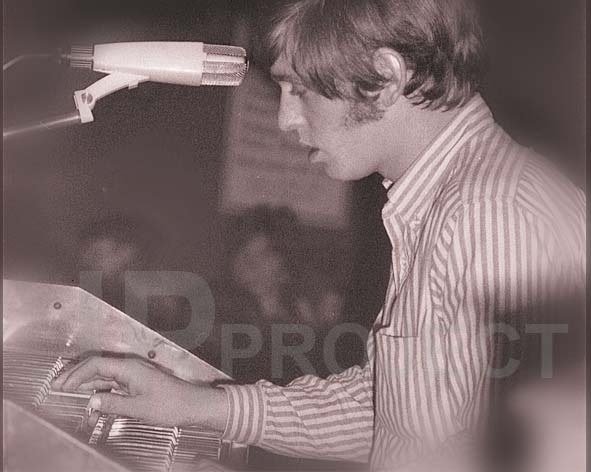 In den 1970ern und 1980ern war es relativ ruhig um Georgie Fame. Gelegentlich veröffentlichte er Jazzaufnahmen wie z.B. 1981 das Album „In Hoagland“, auf dem er gemeinsam mit Hoagy Carmichael und Annie Ross zu hören war. Zwischen 1989 und 1997 spielte Fame auf allen Alben von Van Morrison die Keyboards. Die Soloalben in den 1990er erhielten durchweg gute Kritiken. Ab 1998 war Georgie Fame Mitglied der Rhythm Kings seines Freundes Bill Wyman. Auf seinen Solo-Alben beschäftigte er sich nun hauptsächlich mit Jazz und Blues. Im Jahr 2000 veröffentlichte Georgie Fame das vielgelobte Jazz-Album Poet in New York, das stilistisch an den von Eddie Jefferson entwickelten und von Jon Hendricks vorangetriebenen Vocalese-Stil angelehnt ist.